Beatrice ("Bunny") Scott Stevenson began her missionary work in China in 1934, teaching nurses at the Hackett Medical College, Canton, where her husband, Ted, was resident surgeon. He was interned during World War II in Manila for 3 ½ years. 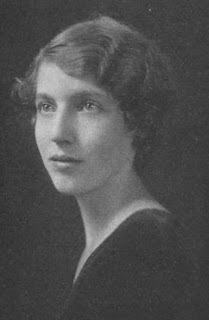 Alumnae Quarterly (AQ) May 1938: "A letter received from Bunny Scott at Christmas time gives most interesting news of her experiences in China, where her husband is resident surgeon of a mission hospital in Canton. Due to the war, Bunny and their two year old son went as refugees to Hong Kong for two months, but at the time she wrote, had returned again to Canton, where, she said, Japanese planes were bombing almost every day, with terrible damage to all sorts of property. "Bunny leads a busy life helping in any way she can at the hospital - she mentions teaching the nurses English, coaching choruses and plays, and landscaping the new hospital grounds." 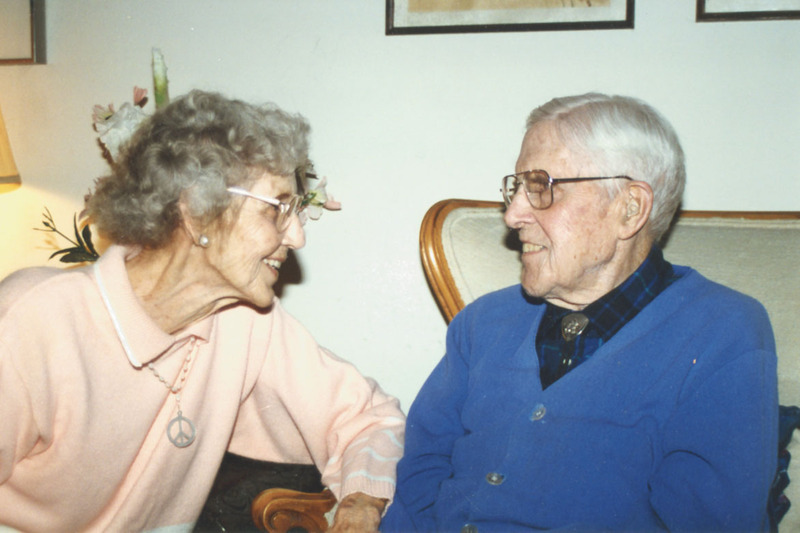 AQ November 1945: "Polly Hay Cooley wrote of a Wilson Reunion at her home in North Carolina. They had a grand Wilson picnic with Helen Scott Mahy, Bunny Scott Stevenson and Laddie Scott, with all their families. Polly wrote she was expecting to hear that her husband would soon be on his way home after more than three years of duty with the Army Medical Corps in the Pacific. She says she expects to see more of her Wilson friends now that the war is over and they will soon be planning trips in their new cars." AQ November 1945: "The Class will rejoice with Bunny Scott Stevenson, whose husband was released from a Japanese prison camp in the Philippines, where he had been a prisoner since 1942." AQ November 1948: "Beatrice Scott Stevenson and family are now living permanently in the United States." AQ November 1955: "Beatrice Scott Stevenson reports that her husband's appointment by the Presbyterian Board as medical director for all overseas medical work means a move for the Stevenson family to the New York City area. Ted will be off on long jaunts to Africa, India and other mission fields." AQ February 1956: "Beatrice Scott Stevenson's husband, Dr. Ted, in his new position as Associate Medical Secretary for the Presbyterian Board of Foreign Missions, left before Christmas for the Near East, India and Pakistan to get acquainted with hospitals and medical personnel over there. He expects to return home in March." AQ May 1958: "Beatrice Scott Stevenson writes that her doctor husband returned just before Christmas from a two-month tour of hospitals in the Orient." AQ February 1957: "Theodore and Beatrice Scott Stevenson have just moved from Rye, NY to Tenafly, NJ. 'Positively the last move' - so Bunny says." AQ February 1961: "Theodore and Beatrice Scott Stevenson left on January 5 for India. They expect to be gone for about eight months during which time Ted will inspect medical facilities in India, Pakistan and Nepal." AQ August 1961: "The most intriguing letter of the spring came from Beatrice Scott Stevenson in Yeotmal, India, where she was visiting Libby Yerkes Kline in March. The following is a fascinating direct quote from Bunny's letter. "It's impossible to believe I'm not dreaming. The things that seem so ordinary to Libby still make me stare. Just looking out of the window here I can see the water-cart drawn by two white bullocks as they bring her daily supply of water; the beautiful hump-backed Brahman cow which supplies Libby's milk and butter, the fierce watchman with his gun who guards the property. Last night at a 'progressive dinner,' Libby's contribution was a meat loaf made of wild boar and venison! "We have had a strenuous two months so far, but fascinating enough to make up for all the midnight departures and dusty jeep rides. We did all our traveling in the Upper Nile in a tiny mission Cessna plane which had broken its pontoon landing on a hippo the week before. This was really wild country with tattooed natives seven feel tall. Ethiopia was primitive too with hyenas howling in Addis Ababa at night. The Emperor, himself, wants our church to take over medical work in his western, most primitive province, so that's where we traveled most." AQ November 1961: "Satoko Matsumoto Tasaka '33 writes of a great reunion during the summer with Beatrice Scott Stevenson in Tokyo when Bunny and her family were returning home from India. They visited the International Christian University together, and Satty was thrilled to learn that Bunny had helped to raise money for the institution by giving talks." AQ May 1963: "Beatrice Scott Stevenson is serving as PTA President and Sunday School teacher. Her husband is traveling in Iran, Ethiopia and the Camerouns." A Spring 1997 Alumnae Quarterly featured a story about Beatrice and Helen. Beatrice recalled, "During the early 1900s there was a great deal of fighting between the warlords in China. When I was old enough, I went to a boarding school in Northern China, but traveling there was very difficult even by train. I remember one trip where the warlords borrowed our engine right in the middle of our trip, leaving us stranded in the countryside." "When Beatrice reached high school, the fighting in Northern China was so bad that her school was forced to close. She finished her education in northern Korea, and then enrolled in Wilson College, where her older sisters were already students. Ted Stevenson was the son of Dr. Ross Stevenson, a pastor, who became President of Princeton Theological Seminary. A trip around the world in 1926 opened Ted's eyes to the tragic need for medical care in third world countries, and he felt God's call to become a medical missionary. He graduated from Johns Hopkins Medical School in 1931, interned and completed a surgical residency and was appointed to China in 1934 by the Board of Foreign Missions of the Presbyterian Church. 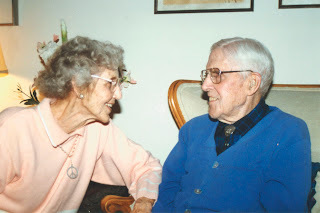 He and Bunny were married in September of 1934 and sailed on their honeymoon to their new assignment at Hackett Medical Center in Canton, South China. Ted served as Chief Surgeon and Professor in the School of Nursing for the next five years. The Japanese bombed the city for 15 months before capturing it. In the city of one million people, without air protection, there were countless wounded, keeping the busy doctors at Hackett Hospital working around the clock. Two sons were born during our China tour, and a third followed when the family returned to the United States on furlough (1939 - 1941). When it was time to return to China in 1941, Ted sailed alone, with three quarters of a ton of medical supplies for his hospital, even though Bunny's and the children's visas had been denied by the State Department. His ship was near the Philippines when the Japanese bombed Pearl Harbor, December 6, 1941, and he was captured in Manila and held in Santo Tomas Prison, with 5000 other internees, for three and a half years. During this time Ted served as the chief medical officer for the prisoners. He himself lost 50 pounds and saw many internees die because of their starvation diet. To alert the world to their plight, Ted signed, as the cause of death, "Malnutrition" on most death certificates. The enraged Japanese Commandant ordered Ted, at gun-point, to change the "insulting" word, and when Ted refused, put him into the camp jail. There he stayed, a stubborn hero for the other internees, until the U.S. 1st Cavalry Division liberated Santo Tomas in February 1945. Ted later spent 17 years as Medical Director of the Presbyterian Board of Foreign Missions, travelling throughout the world. He worked to raise health standards, push public health and family planning and see to the training of nationals. After his retirement, Ted and Bunny went to West India as volunteers to turn around a hospital that was on the verge of closing. Four years later, they did the same for a hospital in Tumu Tumu, Kenya. The ladies are very beautiful. From: inspirational Christian quotes blog.